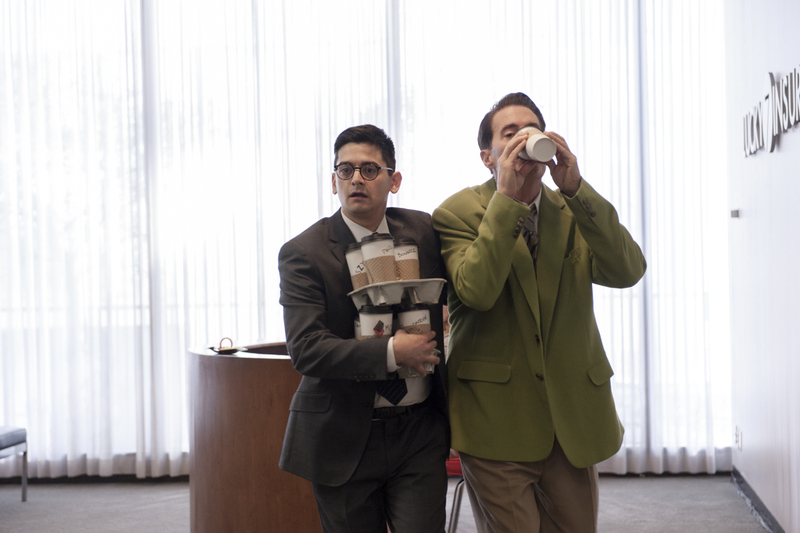 Can Cooper and Dougie co-exist for 18 episodes? “Twin Peaks” is back. It’s been back for three weeks and we’ve seen five hours of David Lynch’s new season. 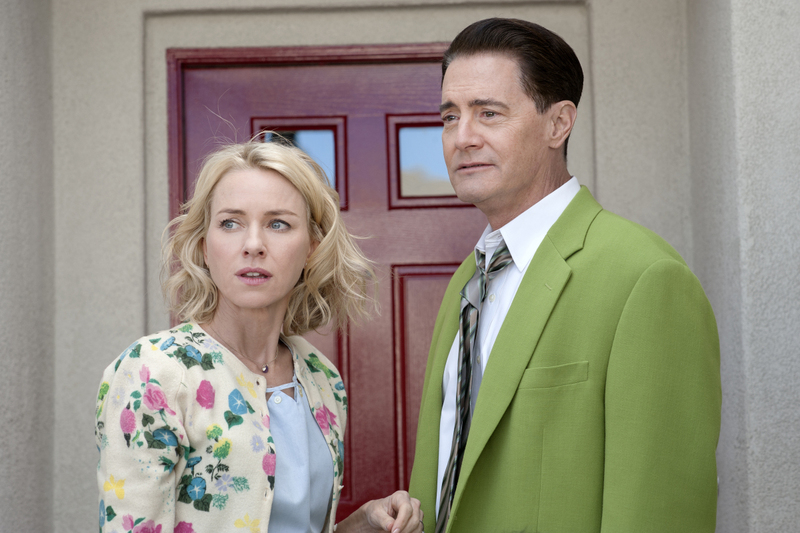 But we haven’t seen Agent Dale Cooper yet — not the Cooper we remember, anyway. Agent Cooper is still trapped. Everyone thinks he’s Dougie, a doppelgänger created by Evil Cooper to help keep the long-haired madman from being sucked back to The Black Lodge. The real Cooper doesn’t have the mental capability to tell anyone otherwise; not Dougie’s mistress, Jade (Nafessa Williams), not his wife, Jane-y Jones, and certainly not anyone who knew the old Cooper. His antics are funny — very funny. But he’s also testing viewers’ patience. The ending of “Part 5” — the first entry to roll credits over anything but a band playing The Bang Bang Bar — invites us to ask a question; a question we might know better than to ask, but a persistent one nonetheless. How long until Agent Cooper snaps out of it? As Cooper stands in place, holding his files and staring at a statue, day turns to night. Events transpire elsewhere in the story — big events, like Evil Cooper making a phone call that sets off the prison’s alarm system — but Cooper remains stagnant. Either unaware of what to do next or incapable of doing anything else, Cooper sways, stares, and remains trapped in a persona that’s not his own. How long can he stay like this? Will he ever snap out of it? Are we meant to expect him to snap out of it? Should we be asking if it’s OK to laugh along with Cooper’s innocent misunderstandings at work? Most signs, no matter how small, point to yes. Cooper seems to be making slightest of progress toward recovery. He’s drinking coffee now. He’s saying full sentences like, “He’s lying.” Granted, at this rate, he’ll be back to his old self by say, Episode 15, but at least he’s improving. Watching the development, no matter how slow, has been fun. “Twin Peaks” has been good. But how long it will remain both of those fine qualities is entirely up to the unpredictable machinations of David Lynch. Since it’s not only impossible to guess where “Twin Peaks” is headed but antithetical to the overall experience, we don’t know if the Dougie stand-in is a temporary disturbance or a permanent new version of Cooper. As of now, that’s been the point. It’s felt like Lynch is re-training us to watch television through his distinct lens. Modern audiences want to consume content as quickly and thoroughly as possible. Lynch, however, has been applying the breaks whenever he can. As IndieWire’s Michael Nordine noted in his Episode 5 review, Lynch doesn’t seem to be a fan of binge-watching. Moreover, his series cannot merely be consumed quickly and processed at a similar speed. Even though the first four episodes were released at once, this isn’t a series to be watched in the manner that we’ve grown accustomed, and we need a formal reminder of that as often as possible. For those with it so far, his training is working. We’re not obsessing over the mystery or trying to make sense of every little thing — even though there’s been plenty of fuel for fan theories, some of which are quite fun as a result — and distinct, singular moments in the episode stand out to individual viewers. Just take a look at Twitter on Sunday nights to see the disparity in reactions. Be it an extended stay in an iron box or Dr. Jacoby railing against the man, there are moments that stand out in a way that separates them from the ongoing narrative, rather than tying it together. Fans are embracing that, and one can only imagine this would please Lynch. Cooper’s state is a major part of imbuing that patience, and it will prove fascinating first to see how long Cooper’s arrested development lasts and then to look back on how our time with a slow-moving Coop affects Season 3 altogether. If it’s a temporary state — as I suspect it will be — it sets “Twin Peaks” on a similar path as its original season: weird, funny, but largely logical for the first half, before we careen into indefinable space later on. If it’s permanent, we could be facing a whole new “Twin Peaks”; one absent the nostalgia of the past, yet still able to subvert its soap opera stories; a story with a new hero, frustrated confused by the world around him instead of staring it down with confidence and a knowing wink. Frankly, that sounds possible as well — tempting even. But we know better than to ask for anything from Lynch. We can only wait to see where he takes us.